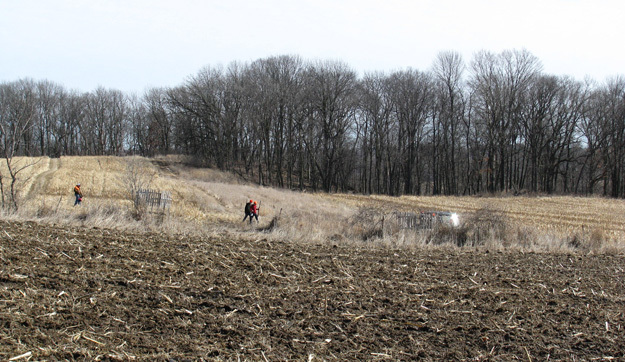 The club offers the opportunity to release pheasants or chuckers into the fields to provide an upland bird hunting experience. All hunts are by appointment only. 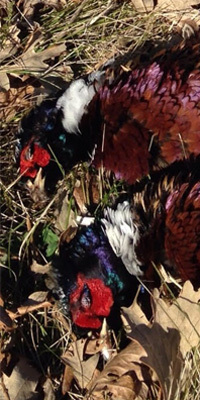 A minimum of three pheasants or six chuckers per hunter are released immediately before the hunters enter their assigned field to hunt. 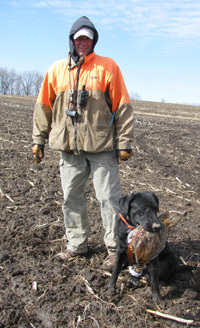 Well trained dogs with handlers and bird cleaning services are available to groups. Birds will not be released in wet wheather because they will not fly. A two year membership entitles one to reduced rates on released birds and scratch birds.. As a member, you may hunt for two free scratch birds without a bird release. Members may shoot up to 20 free scratch birds without release during their two year membership. See are RATES page to learn more about the benefits of membership and the specifics on scratch bird hunting.